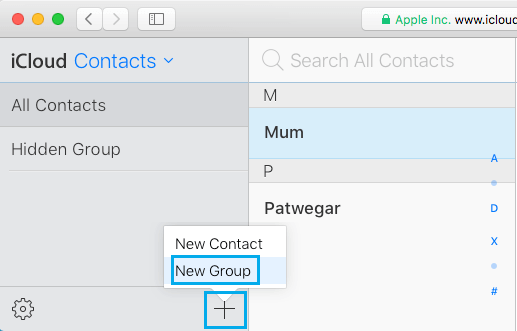 While there is no way to create a Contact Group right on your iPhone, you can always go to icloud.com using your Mac or PC and create Contact Groups that you can make use of on your iPhone. 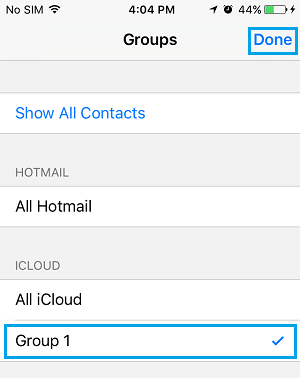 Let us take a look at how to create and manage Contact Groups on iPhone using iCloud. The first step while creating a Contact Group on iPhone is to make sure that your iPhone Contacts are set to back up to iCloud. This will ensure that all your iPhone Contacts are available on iCloud and this will help in quickly adding your Contacts to Contact Groups. 2. On the Settings screen, tap on iCloud. 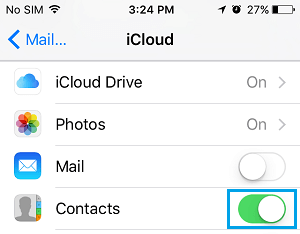 Once you have made sure that your iPhone Contacts are backing up to iCloud, follow the steps below to create New Contact Groups on your iPhone using iCloud. 2. 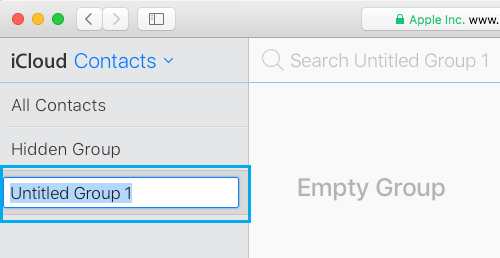 Once you are in your iCloud Account, Click on the Contacts tab. 4. You will see a New Contact Group Created with the name Untitled Group 1 (See image below). 5. In case required, you can type a proper Name for this Contact Group and hit the Enter Key to save this New Contact Group. Now that you have created a New Contact Group, you can start adding Contacts to this new Contact Group by following the steps below. 3. On the next screen, click on All Contacts and then select the Contacts that you want to add to the New Contact Group. 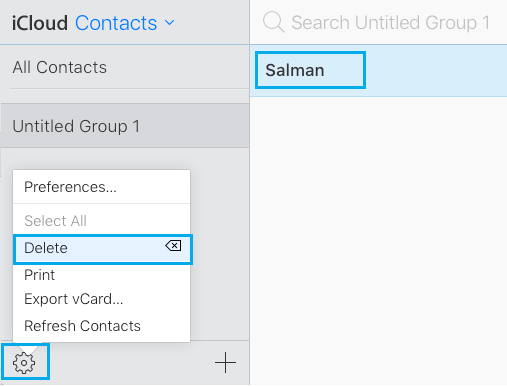 After selecting Contacts, you can simply drag the selected Contacts to the New Contact Group (See image below). Tip: You can select multiple contacts by holding down the Command Key (on Mac) and Ctrl Key (in Windows). 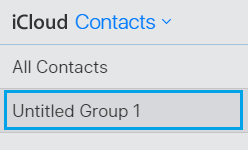 Once you have selected the Contacts, you can just drag them to the Contact Group in which you want to add these Contacts. 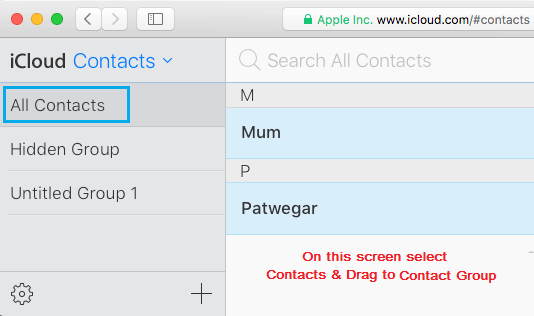 In order to delete Contacts from a Contact Group on iPhone, you will once again need to get back your Mac or Windows Computer and follow the steps below. 3. On the next screen, click on the Contact Group from which you want to Delete a Contact. 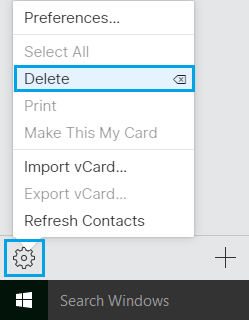 Once you hit Delete option, the selected Contact will be removed from the Contact Group. However, deleting the Contact from a Contact Group will not remove the Contact from your iPhone. 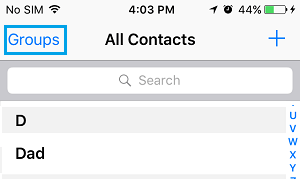 You will still be able to find the deleted Contact on your iPhone Contacts List. You can delete an entire Contact Group, in case you no longer need the Contact Group. Once again, this task needs to be done by logging into your iCloud Account using a Mac or PC. 1. Using a Mac or PC, go to icloud.com and sign-in to your iCloud Account. This will delete the selected Contact Group along with all its Contacts. However, all the Contacts listed in this Contact Group will still be available on your iPhone Contact list. Now that your New Contact Group is ready, you must be eager to view this Contact Group on your iPhone. Follow the steps below to view the new contact group on your iPhone. 1. On your iPhone, tap on the Contacts app. Note: You may experience a delay in seeing the New Contact Group on your iPhone, in case you have a very slow internet connection.